Hi! 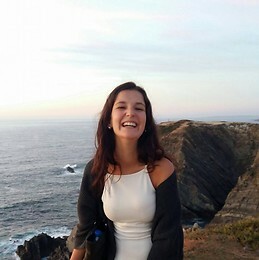 My name is Maria, I am a Portuguese Psychology student, from Lisbon, and I am 23 years old. I am staying in Hamburg for the summer semester, studying at Universität Hamburg. I am looking for a room in a house/flat shared with other students. I am very relaxed, not a neat freak, but I like it tidy and always clean up after myself. I love to cook, wich I think is always a good adition to any home. I love music and am more than ok with the occasional party or hangout. I also love to paint and draw. I speak English, Portuguese, I understand a bit of spanish (and try to speak it, not very successfully) and am learning German (also not very successfully). I would like it very much if we could have a nice friendly vibe at our place, and would love to make some friends!